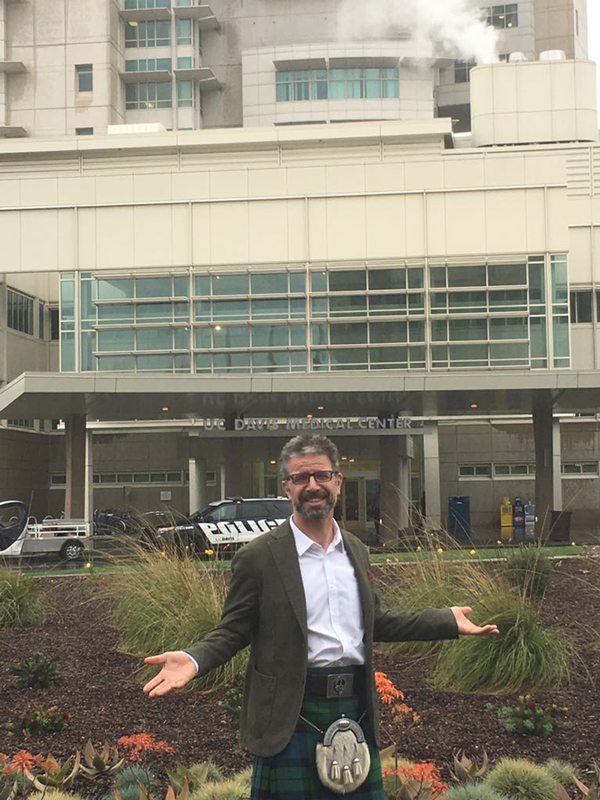 On a recent visit to the US Professor Mackay arrived in the rain to teach IB techniques to Residents and Faculty members at Davis Medical Center in Sacramento, part of the University of California. 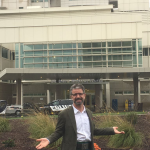 Professor Mackay received a very warm welcome at this one of the leading trauma centres in the USA. 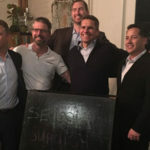 While there he enjoyed presenting and dining with eminent local surgeons, including leading innovators Alan Hirahara who was an early adopter of InternalBrace technology; Eric Giza who is the developer of the lis frank InternalBrace kit and supersized Chris Kreulen who is heading up the randomised Brostrom InternalBrace study with Eric, here in California. Chris is also the innovator behind the Ckreu compressions screw. Collectively they made Professor and Jackie Mackay very welcome. 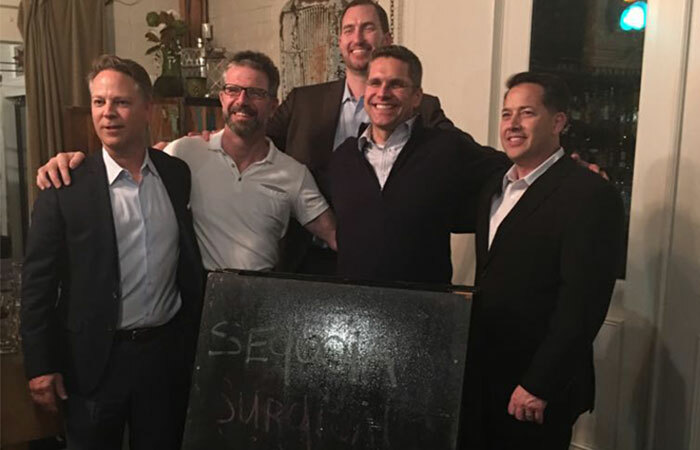 Above: Group photo before the surgical dinner.